Printable on front and back. 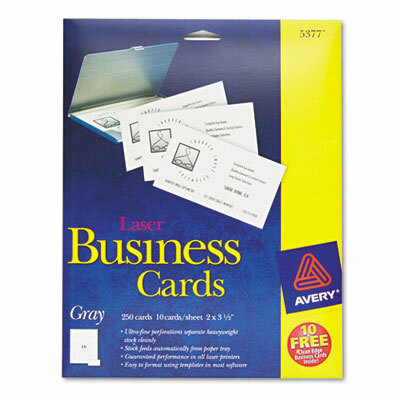 Only Avery® offers so many FREE easy-to-use design and print solutions. Expand your options for creating quality, professional-looking business cards. Only Avery, a Microsoft® Gold Certified Partner, offers so many FREE easy-to-use design and print solutions. You always end up with a design you're proud to call your own. Print your customized design on the high-quality, heavyweight card stock. Printable on front and back. Ultra-fine perforations for clean, easy separation. Each card: 3 1/2 x 2.